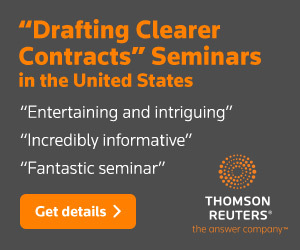 Would Contract Drafters Benefit from Using WordRake? Compose in Word, hit the “RAKE” button, and in seconds, WordRake editing software for attorneys suggests edits for a more powerful statement. You’ll instantly see that WordRake law office software saves time and money, and gives you the confidence your brief, contract, or memorandum is as clear and concise as you can make it. When a reader asked me what I thought of WordRake, I recalled having spoken with the founder, Gary Kinder, a few years ago. Bob Ambrogi gave WordRake a try and wrote about it in this LawSites post, but I thought I should check it out from a contracts perspective. In MSCD terms, these changes would all fall under “drafting as writing.” In the grand scheme of things, they’re trivial. WordRake isn’t capable of identifying the dozens of other issues that caused me to thoroughly rewrite appendix 1-A and turn it into appendix 1-C.
On the other hand, most fixes that WordRake proposed were worth considering. And making at least some of them would have shaved a few words off of appendix 1-C and made it marginally more concise. So here’s where I come out on this: Comments made to the manuscript of MSCD3 by a squad of volunteers confirmed the obvious: my prose isn’t perfect. No one’s is; we all would benefit from having an extra set of eyes to point out the annoying tics in one’s prose. In fact, it would be best to have several sets of eyes reviewing your work. Consider WordRake just one level of review, one dedicated to reminding you of some basic ways to make your prose less flabby. 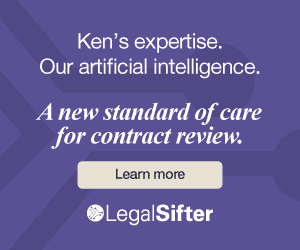 Lawyers are fond of using strings of synonyms or near-synonyms in contracts, often because they can’t be bothered to pick the right word or because they think that more words means less risk. Instead, the dysfunction is due to the nature of business transactions. 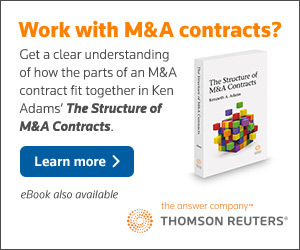 That can be achieved by using information technology—more specifically, document-assembly software—to turn contract drafting into a process of answering an annotated online questionnaire. The result is prose that is markedly odd and potentially confusing. It might result in might cause someone looking over your shoulder. This kind of false positive occurred much less often in WordRake’s review of the termination agreement; they’re more likely to occur in prose that’s more freewheeling than contract language. I ended up rejecting around around three-quarters of the changes WordRake proposed for my draft article. But you can simply ignore proposed changes that don’t make sense; those that do make sense are the ones that matter.